Providing in home health care for a loved one who has recently had an injury, illness or recent hospitalization, can be an overwhelming task. Being the primary caregiver for an elderly family member can be possible for the short-term, but you may find the pressure of assisting your loved one and the time taken from other personal responsibilities very stressful. You may be the one in need of at home care services without the option of a family member or friend to help you. A-1 Home Care Agency provides professional and compassionate caregivers for all types of seniors and other adults for these situations. We can help reduce stress for all parties involved and increase quality of life for the client. Our wide range of home health care services include In-Home Care Providers, Live-In Caregivers, Seniors and Elderly Sitters, Respite Care, Terminally Ill Care and assistance for Handicapped and Disabled individuals. A-1 Home Care Agency serves Newport Beach, Corona Del Mar, Huntington Beach, Tustin, Costa Mesa and other cities of Orange County area. Although there are many health care facilities that provide housing and assistance for seniors in need, in home-health care provides the same, if not greater quality of care. Your elderly family member receives one-on-one assistance of a professional caregiver in the comfort of their own home. Studies and testimonials have proven that patients recover faster, increase their life-span, and enjoy a higher quality of life if they are able to remain in their own homes. With an in-home care provider, the patient is surrounded by a familiar environment, family, and possessions. At Home Care provides peace of mind, eases the stress of their injury or illness and allows them to retain their independence. A-1 Home Care Agency believes in-home health care offers many healing and positive properties. The loss of independence remains a huge concern for seniors and elderly individuals as they get up in age or experience a decline in their health. We understand this great need and provide families with professional caregivers that strive to promote independence and quality of life for the individual client. Having a trusted and trained at home care companion to assist you or your loved one through the day, assures the safety, health and well-being of everyone involved. The presence of a care provider for a senior needing at home care services is the safest option when it comes to health and healing. Unlike many senior housing facilities for seniors, at-home health care is extremely personalized. A-1 Home Care Agency matches each client with a care provider and treatment plan that is custom-made to the needs of the client. We take into account all aspects of the individual's health status, personal likes and dislikes, schedule needs, favorite activities, general needs and the needs of the family members involved. Our great attention to detail and passion to serve both the client and the family makes in-home health care through A-1 Home Care Agency the best option for those individuals interested in professional, compassionate and trusted personal care. A-1 Home Care Agency's in-home health care for seniors and elderly remains the most affordable, as well as one of the most effective forms of home health care. Our affordable and professional caregivers give you the opportunity to receive quality at-home care, without the overwhelming financial obligation. Not only is the quality of one-on-one personal care you receive with our experienced caregiver greater than that received at a facility, it will be much less of a financial burden on you and your family. At-home health care is one of the most individualized and personal forms of health care. Hiring a personal caregiver to take care an elderly loved one in their own home is the most effective form of healing for seniors. When an elderly individual is able to remain in their own home, the quality of life is increased dramatically. This in turn increases the chances of prolonging their life. Our special in home care providers works to promote health, companionship, friendship, healing and compassion for your loved one. To ensure the quality of our care providers, we thoroughly screen our caregivers by means of extensive background checks and interviewing them face-to face. 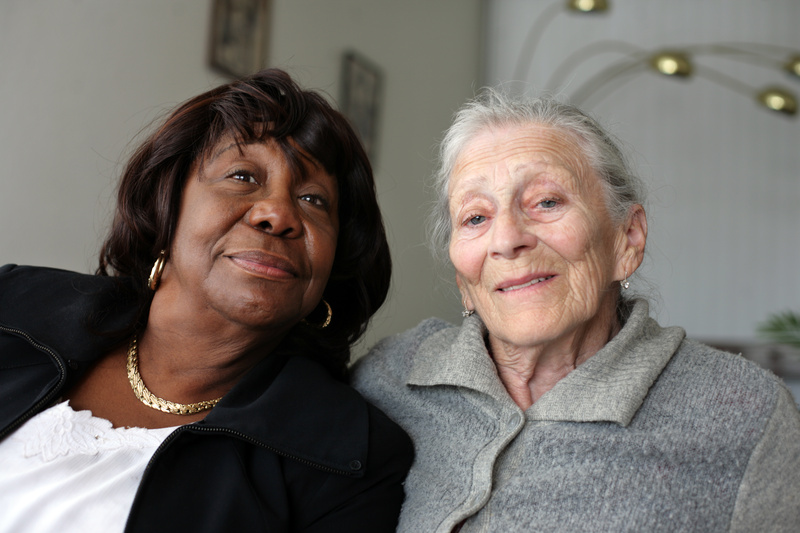 The care, safety and comfort between client and caregiver are our primary priority. All of our caregivers are highly trained and have the experience and expertise to care for you or your loved one. We only hire caregivers who exhibit a selfless, special quality of compassion that is hard to find. Your trust and comfort is important to us, so we carefully match each individual client with a caregiver that is best fit for the family and the needs and care that the client requests. A-1 Home Care Agency will tailor in home care services to fit your needs and provide care for as long as you require service. Whether you or a loved one is in need of caregiving service for short-term, long-term, or on a full-time, 24 hour basis we can help. Injuries, illness, and unforeseen circumstances can make the need for care service very urgent. Through our at-home care services, we provide care anytime, day or night, for as long as needed. Our services revolve around the well-being of the client and family alike. Regardless of the circumstances or need of care, A-1 Home Care Agency is here to serve you.